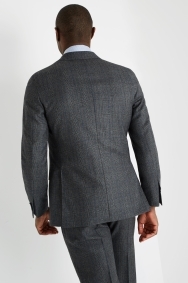 It’s all in the subtlety with this suit. 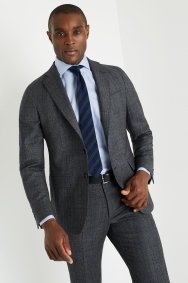 Woven in Italy using 100% virgin wool, this suit’s material is second to none in terms of softness and refinement. 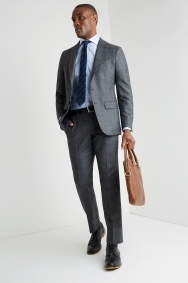 It’s a classic checked suit and the pattern is relatively subtle, making it easy to wear. 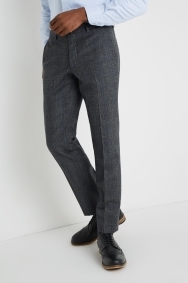 The tailoring flatters by tapering down your legs and through your waist, but you’ll still have plenty of room to move. 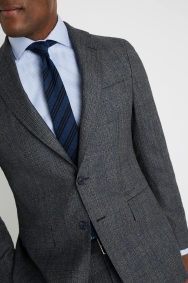 Be ready for business by wearing with a blue shirt and tie. It will also work with a white, pink or lilac shirt. Products I purchased are quality and have a good feel to them. A joy to wear and most of all decent vale for money.